First thing to do is to wish you all a happy Monday and a happy week. Second thing I have to tell you, is that I will start a detox within one week. As of next Monday, I will start a 9-days detox. This detox cure is part of the Forever Living F.I.T. program. Forever F.I.T. 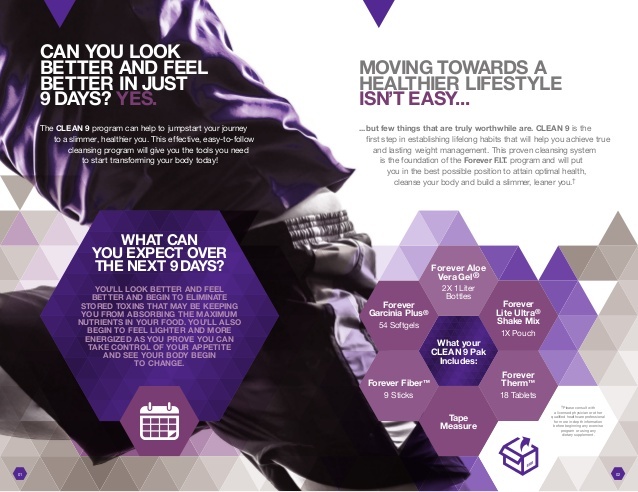 is an advanced nutritional, cleansing and weight management program designed to help you look and feel better. The Clean 9 is the first part of three cures. I’m so curious about the result, I really can’t wait to start. Why didn’t I start today? Well that’s easy, I have some lunches planned for this week, haha. When I start following this cure, I really want to do it correct, without having to cheat. Are you curious about the results as well? Do not miss my Instagram, as I will update this with daily feelings and results. Stay tuned!